Beers and Laughs Podcast: Episode 171: Dooley returns from Ireland to drink Exhibit A and 21st Amendment. 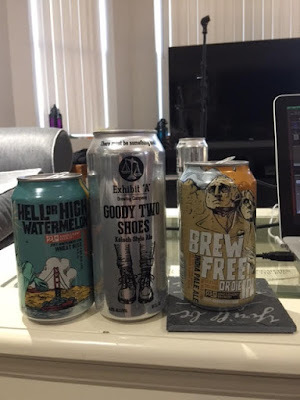 Episode 171: Dooley returns from Ireland to drink Exhibit A and 21st Amendment. Dooley is back! We discuss his trip to Ireland, Eddie crashes the pod and Jacob discusses acquiring a new eskimo brother.